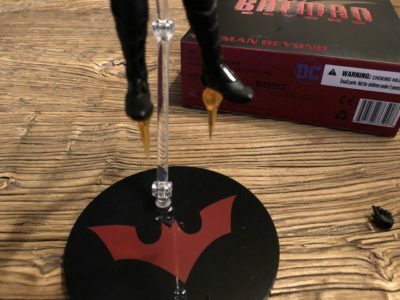 Batman Beyond is an interesting property that started off as a spinoff of Batman: The Animated series. And as I remember it, I found the whole thing underwhelming at the time. Basically, it’s the story of the next person to pick up the mantle of the Bat. Bruce Wayne is old and broken, and there hasn’t been a Dark Knight for a while. Enter Terry McGuiness and his high-tech Bat-suit. A much younger man than even Bruce was when he first donned the cape and cowl, Terry is brash and rough. He also gets a bit more of a kick out of being Batman than Bruce ever did. As I mentioned, I never really liked it much. But plenty of fans did, and that’s given the property legs. 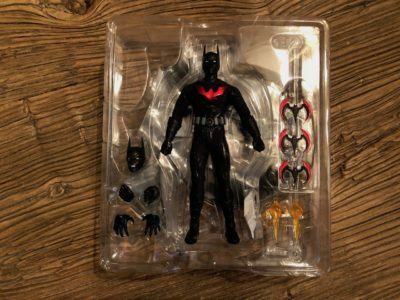 There’s even a monthly Batman Beyond comic right now, and the mythos has been integrated into the DCU proper, which says something. 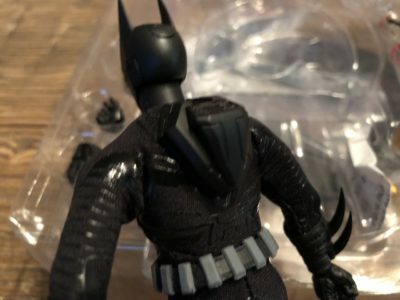 That’s probably why we’ve gotten this figure from Mezco. While I might not be all that big of BB fan, I really dig this figure. It’s simple in a way that most One:12 Collective figures aren’t. That’s not to say though, that there isn’t detail, because there’s a surprising amount. All of this works to the figure’s benefit in some terrific ways. The overall bodysuit has a cool “techie” look to it. As I expected, Mezco went with some additional detailing that the suit in the cartoon and comic does not have. This conveys a nice, futuristic look, and also gives what would be a plain figure some spice. There’s a pack on his back as well, that servers to store his wings in the show. There is no action feature here however, so nothing springs out. Instead we’re given a cool accessory pair of wings that can be snapped on where the static pack is otherwise. I love the look of this. 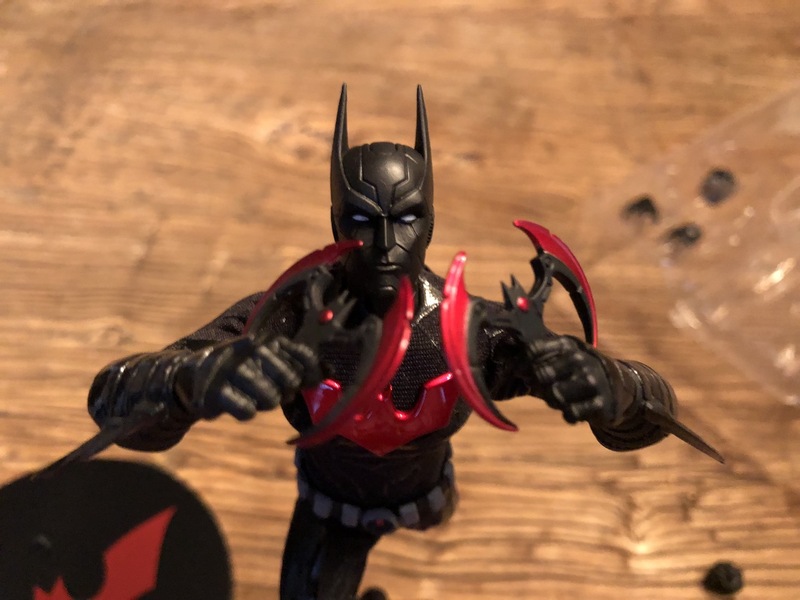 Additionally, the bat logo on Terry’s chest is cast in a metallic red that looks amazing in person. It’s incredibly striking on the all-black figure and honestly makes the whole design. As for the articulation, this is the One:12 at its finest. Terry can move in just about any direction you like, for a ton of posing options. He’s also got nothing blocking or hindering his movement, so you can really have at it. 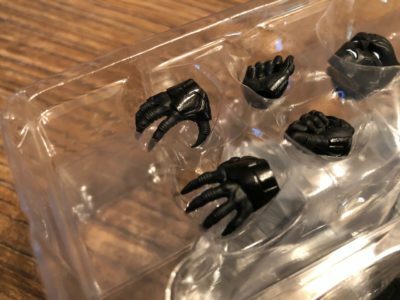 And while I’ve mentioned one of the packed-in accessories already, the rest also serve to provide for a slew of neat poses. 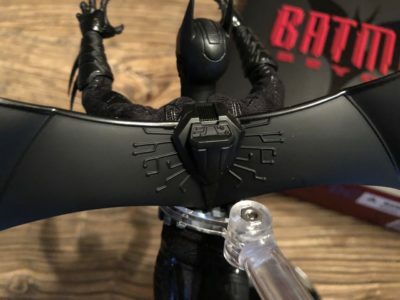 The packed in batarangs are like none other that you’ve seen. 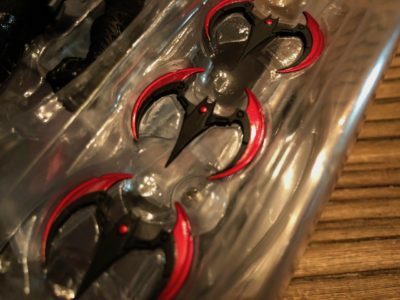 These are almost circular, with black and red metallic paint jobs. They’re just as cool looking as the suit in that regard. You’ll also find two flame effects in the box. These are to attach to Terry’s boot-jets. The effect is neat, but I can’t help but have wanted a little more. To me, the flames are too small. 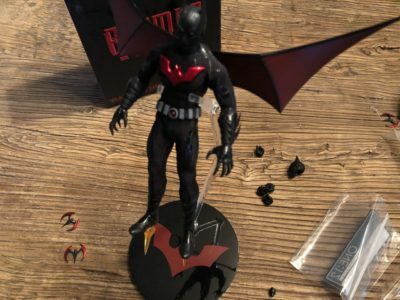 That might be what they looked like on the show, I’m honestly not too sure, but for the figure I think a more generous effect could have really made for a great ‘in-flight’ look. Aside from that, there’s also the usual assortment of extra hands, and one extra portrait. Disappointingly, this isn’t an unmasked head, but a teeth-gritting one. It would have been awesome to get all three. 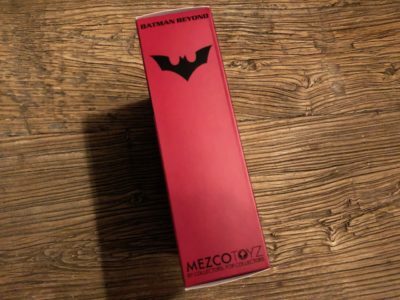 But I don’t want to complain too much because I see why Mezco settled on what they did. 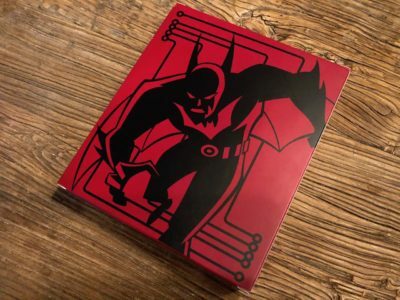 The Batman Beyond promo material I’ve seen usually has either of the two faces included here on it. Still, I find the exclusion of a “Terry” face to be a bit of a downer. 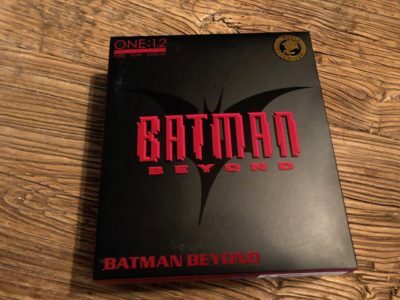 Batman Beyond enters the One:12 Collective as what I’d have to imagine to be one of the lesser known characters in the line. And yeah, I’m bothered by some of the accessories. That’s probably more my personal tastes than anything else however, since they’re not really bad, just a bit disappointing. 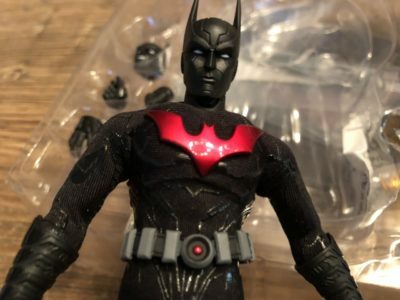 Terry might make a few fans here too with this figure. It’s tough to find fault with and makes for a terrific entry in the line, with easily one of the coolest looks around. 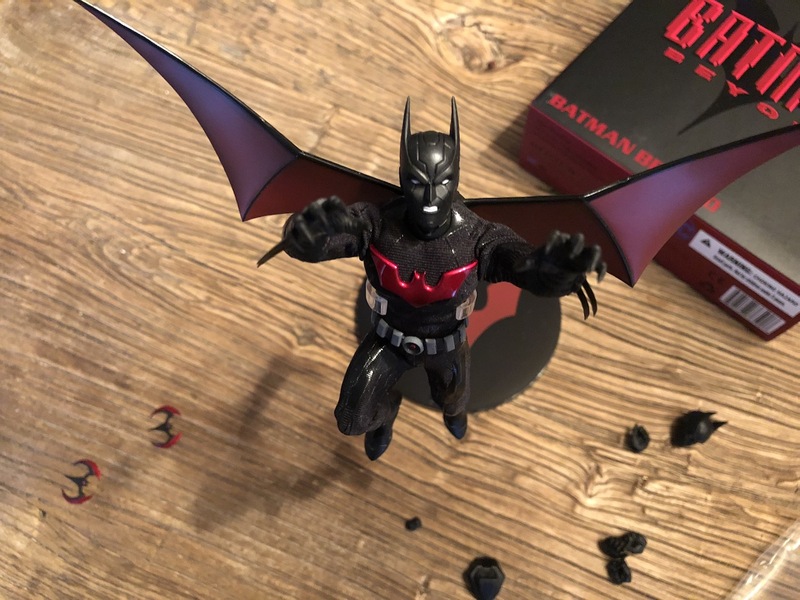 Batman Beyond is a bit of a niche DC license, but Mezco still comes through with an outstanding figure. Great detailing and color work combines with that excellent One:12 articulation to produce a winner. 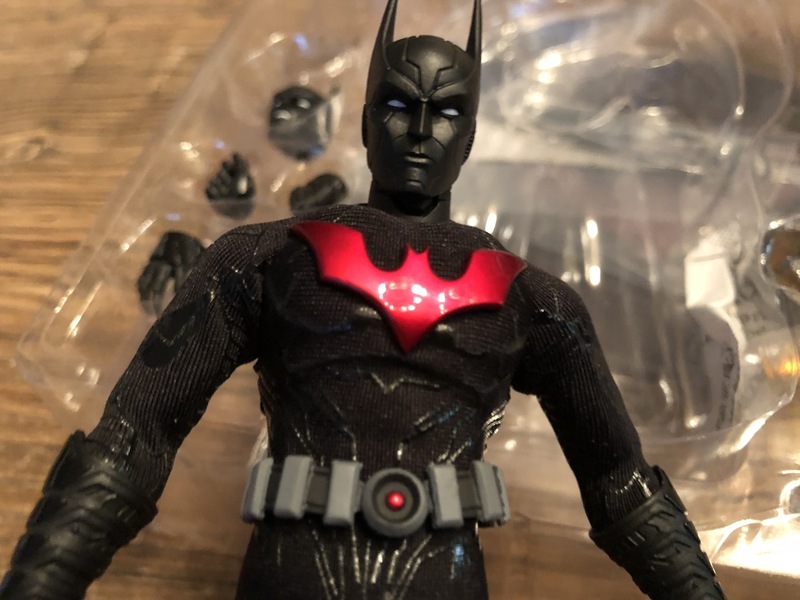 I'm not crazy about some of the decisions with the accessories, but otherwise this future Bat is pretty great.